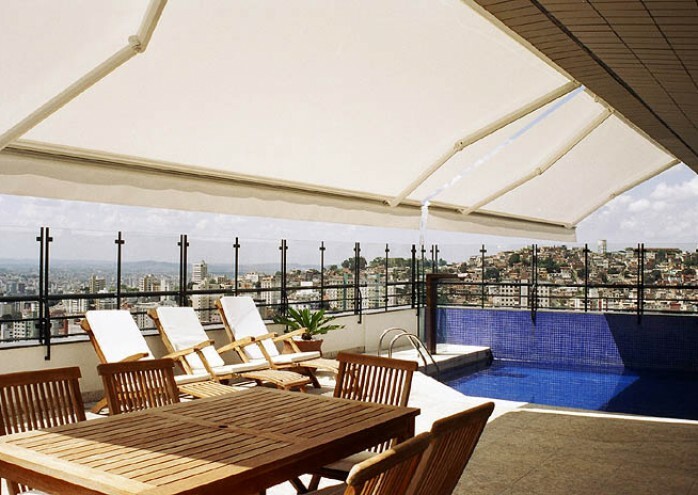 The compact and attractive Select awning was designed for overall protection of terraces and patios in homes or restaurants. The Select series is based on proven and patented triangular back bar technology, and its universal mounting brackets allow for wall, ceiling, or rafter installation, even in restricted or small spaces. 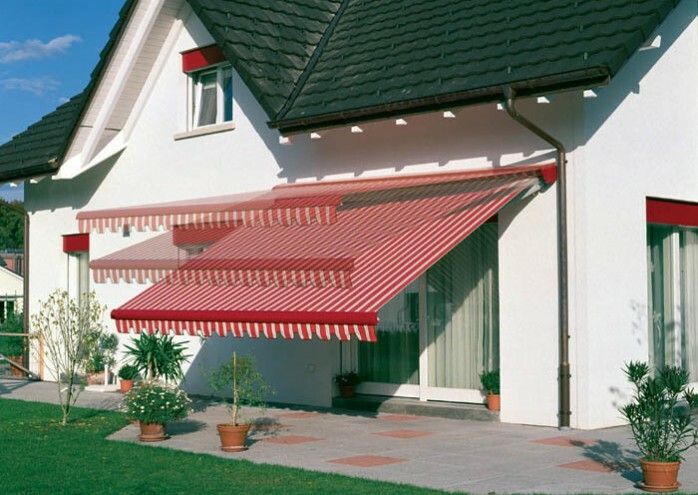 The variable adjustable pitch of the Select-Ombramatic allows this awning to function in many different conditions. This awning’s special gearbox allows the angle of the arms to be simultaneously adjusted for use of the awning when the sun is either rising or setting. With projection of up to 11½ feet, and other extras such as a motor, a hood or the drop-down Volant-Plus valance, the Select-Ombramatic becomes versatile to suit many needs.